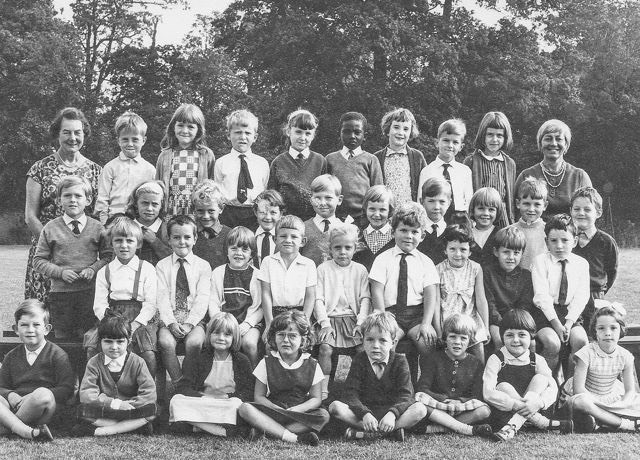 The birth of Oakwood Primary School reaches back to the mid-1930s when land was being acquired by Hertfordshire County Council for future schools. 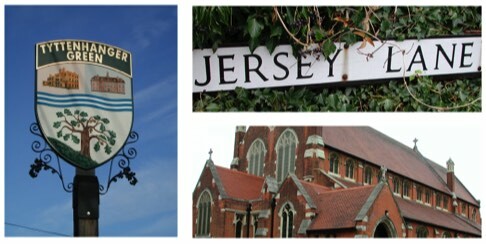 From 1938 its site was being used by the girls of Beaumont School. The publication of the 1944 Education Act included a requirement to raise the school leaving age from 14 to 15. 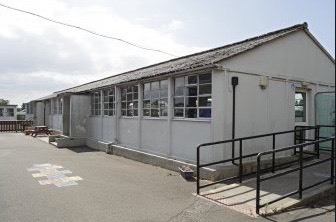 In preparation for this thousands of concrete HORSA classroom huts (Hutting Operation for Raising School Age) were constructed, and Beaumont received three of these, one on the girls' field. Meanwhile, at Fleetville School, which had its own temporary huts, as well as classes in the nursery building (now the Community Centre) several classes rose to 50 or more children. 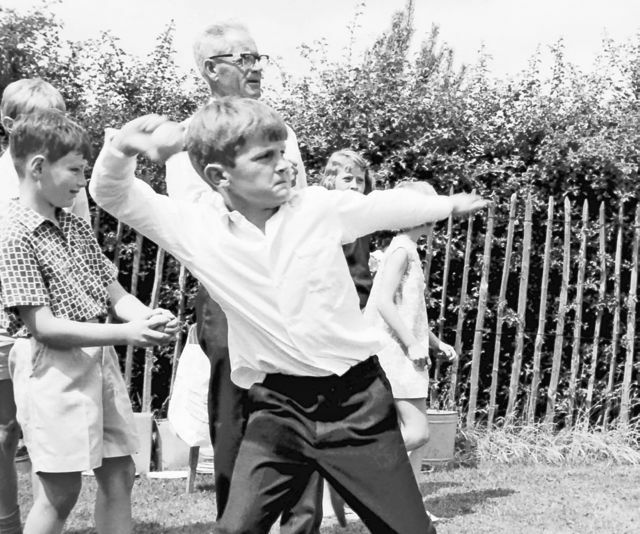 Parents complained vociferously and the authority launched its Fleetville Extension School: children living east of Beechwood Avenue attended the spare HORSA hut for the first time in 1957. 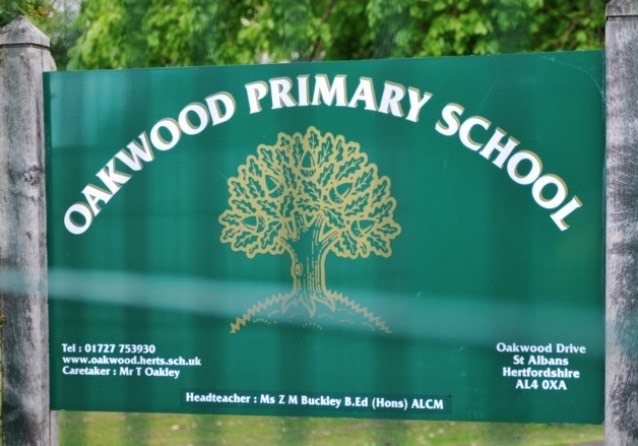 The new buildings for the permanent school were taken on in two phases from 1958, and at that point the new name, Oakwood, was announced. All HORSA huts were basically the same, and although this one is not any of the Beaumont ones, you may be able to spot the Fleetville Extension School one in the background of a photo on this page. Oakwood was one of the new schools whose parents' association raised money to build a swimming school. No doubt the proceeds from this fete contributed to its construction, improvements or maintenance. The girl in this photo, wearing the spotted dress, is Sally Collins. 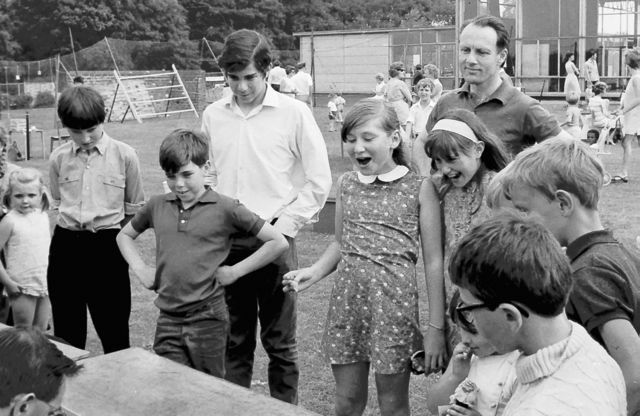 Oakwood fete in 1969: thrown with passion! Probably the same event as the first photo in this collection. Trying to win something is Nicholas Osborne. 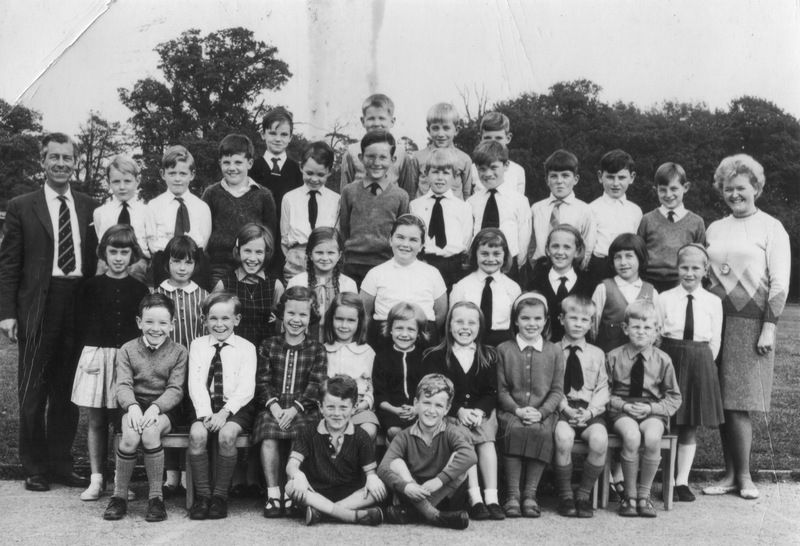 This photo was probably taken in 1966 or 1967, according to Anthony Meyrick who had, by then, left the school. He identifies Nigel Morgan, brother of Simon Morgan in his own class. The Infant Welfare Helper, back row left, is Mrs Winifred Neighbour. THIRD ROW L-R: ? , Tessa Sharp, ? , ? , ? , ? , ? , ? , ? , ? FRONT ROW L-R: ? , ? , ? , ? , Nigel Morgan or Martine Frost, Gail Blenkinsopp , Caroline Gardner, ? 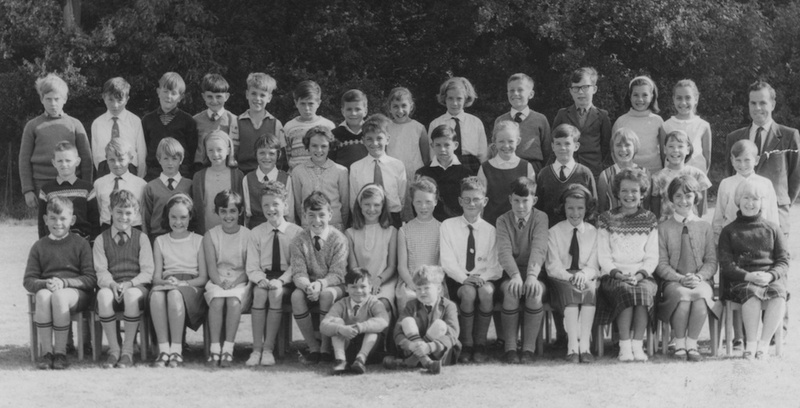 Mrs Neighbour appears in this photo too, on the left of, possibly Mrs Dalby and Mrs Hobbs. 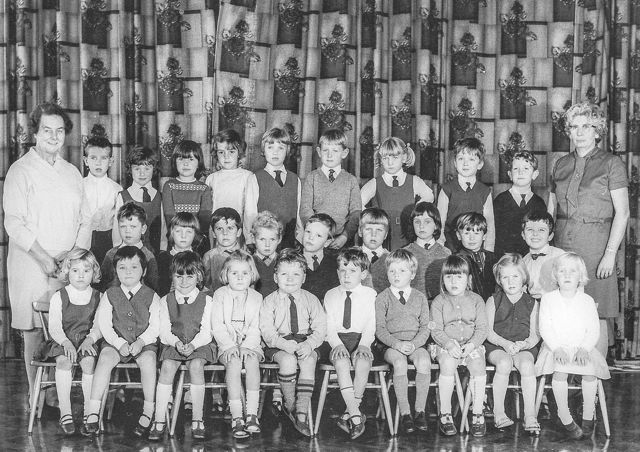 Of the children, Janet Thrussell is back row extreme right. 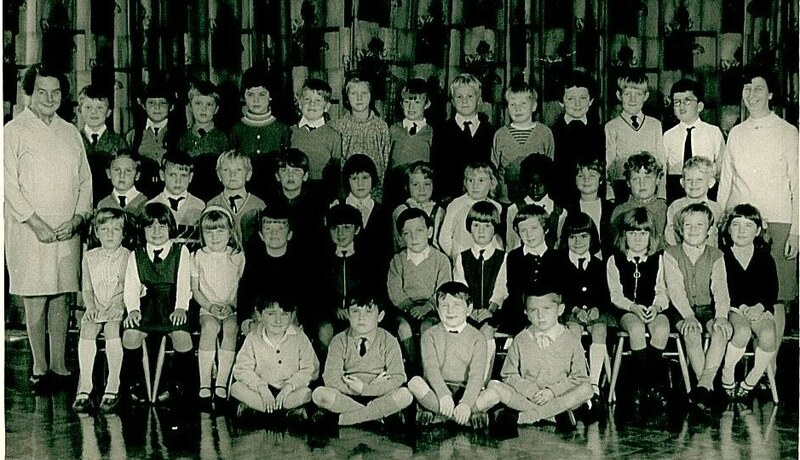 Helen Osei-Mensah is in the third row, second from left. Valerie Miller is on the far right of the same row. 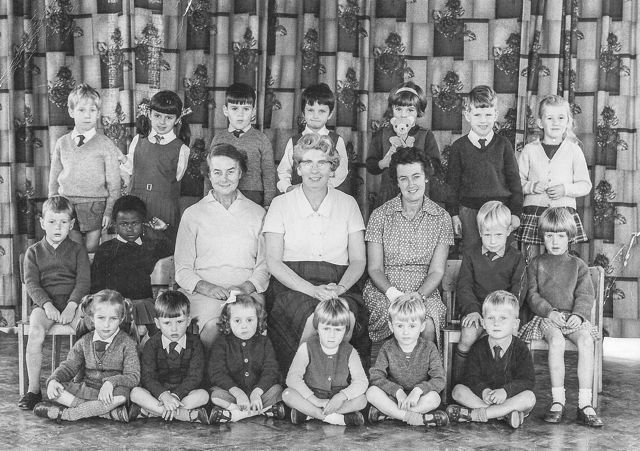 This is the top infants class of Mrs Scott (right), and Mrs Winifred Neighbour as the Infants Welfare Helper. Just look at the highly polished floor! It is also thought that Peter Hughes is in the line-up. A full set of names was written on the back; hooray! BACK ROW L-R: Stephen Clark, ? , Timothy Smith, ? SECOND ROW L-R: ? , Gillian Faces, ? , Janet Crawley, ? , ? , ? , Tina Sharp, ? FRONT ROW L-R: possibly Hugh Hornby, ? , ? , ? , ? , ? , ? , ? Tim Dain writes "It would be wonderful if the unknowns could be identified, and to perhaps to hear from anyone who remembers me as Timothy Smith." 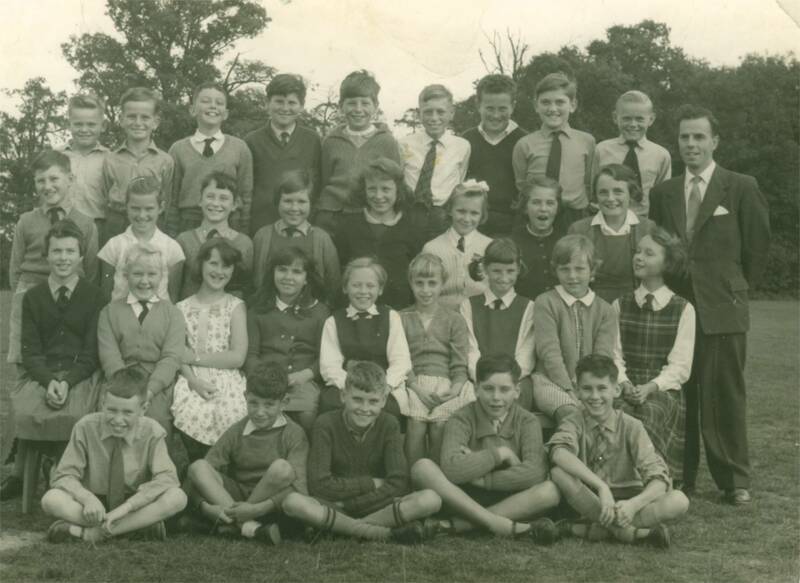 BACK ROW L-R: Martin Williams, Jimmy Dorman, Andrew Busby, Steven Henry, David Molster, Peter Bone, Peter King, Judith Burville-Holmes, Caroline Fuller, Keith Able, Alan Bruce, Penelope ?, Lesley Burville-Holmes, David Sidnell (teacher). MIDDLE ROW L-R: Peter Bradbury, Peter Scales, Simon Blackwell, Pamela Fryatt, Hilary Wilding, Stephanie Crawshaw, Stephen Spary, Pete Wroe, Valerie Wykes, Michael Willoughby, Susan O'Dell, Barbara Gayle, Marcus Coyle. FRONT ROW L-R: Nigel Wilkins, Stephen Cooper, Judith Percy, Jane Buck, Andrew Pearce, Patrick May, Anne Wheatley, Valerie Ayris, Mark Beadon, Rodney or Roderick ?, Jane Berry, Susan Baldwin, Anne Gear, Carol Mirams. SEATED ON GRASS L-R: Jimmy Atter, Peter Fry.